Welcome to the amazing world of useless facts! 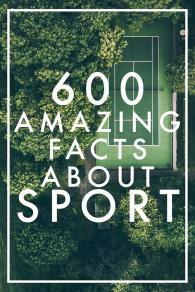 With more than 600 hilarious and incredibly weird facts about sports, this book will teach you things you have no real use for. Amaze friends with your expert knowledge of seriously useless tidbits from popular sports such as, basketball, tennis, american football, boxing, soccer, hockey, surfing and many more!